Both adults and kids very likely know how to play Tricky Twists, even if they don’t have the game installed on their mobile phone. If you know Twister, the party game that makes players contort their limbs and bodies into crazy positions, then you know Tricky Twists. While Twister uses a rug-sized sheet of plastic dots and a spinner, Tricky Twists players need only a smartphone and the app. Players need to be in the same room, but they don’t need an Internet connection and there’s no limit to the number of players who can participate. The game rotates through the players, assigning a series of moves involving a color and a part of their body. 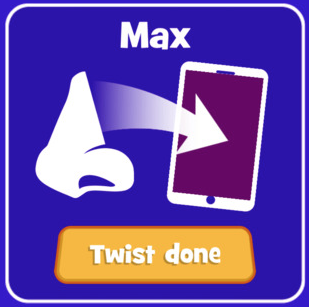 In addition to hands and feet, Tricky Twists includes noses, chins, and other appendages. 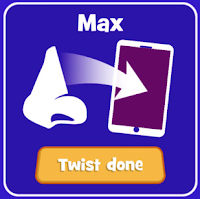 When a player’s color is selected, they are told to touch a know or nose to their phone. The object of the game is to see how many twists can be created before everyone falls down. 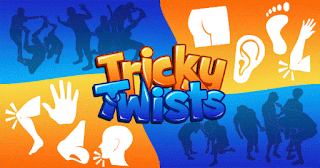 Created by Mobile Mesh Games, Tricky Twists is free to download in the iTunes App Store and the Google Play Store. To see it in action, check out the video below.